The chapter covers Intellectual systems for knowledge extraction and their applications for GIS. On the basis of analysis of the primary structure of the text, which is formed during its lexical analysis, the possibility is determined and the method of structuring natural language texts with the help of the recursive text reduction procedure using the rules presented in the form of lambda expressions is proposed. It is shown the possibility of dynamically forming such rules by users without special training on the basis of the original structure of the texts already analyzed. An ontological model of an interactive document is proposed, which is intended to show the results of text structuring to the expert. The model of ontological GIS – application is an interactive document and allows using affine space to display geospatial information upon request. The models of the interactive document and the ontological GIS - application provide a high level of representativeness of information available in text documents (in particular, geospatial). 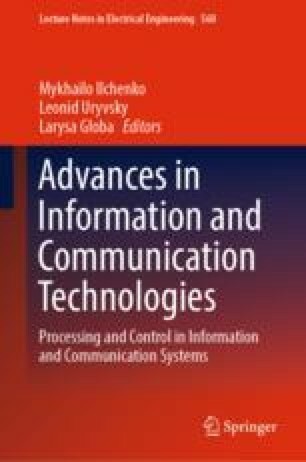 The method described in the chapter allows forming a structured representation of texts, to provide the possibility of processing the information contained in the text by automatic and automated systems. The implementation of the model of transdisciplinary representation of information as an interactive document function allows quick access to large arrays of thematic information, and in combination with ontological GIS - application, solves the problem of transdisciplinary representation of geospatial information.